The health of the world’s last male northern white rhino has deteriorated, bringing the rhino subspecies a step closer to extinction caused by poaching. The 45-year-old rhino named Sudan, listed as “The Most Eligible Bachelor in the World” on the Tinder dating app last year as a fundraiser, lives with the last two female northern white rhinos. Kenya’s Ol Pejeta Conservancy said Thursday that Sudan was struggling despite 24-hour care by veterinarians. “We are very concerned about him — he’s extremely old for a rhino and we do not want him to suffer unnecessarily,” the conservancy said in a statement. 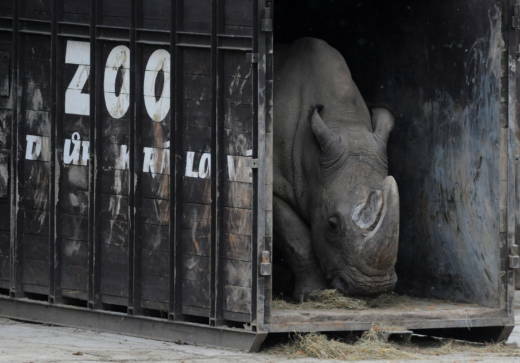 San Diego’s zoo had some northern white rhinos, but the last one died in 2015.